After walking into Morton’s Beverly Hills for dinner, we were seated next to the hockey great, Luc Robitaille with his wife and son. While ordering our entrées, seven priests strolled past our table and into a private dining area to celebrate the arrival of a visiting archbishop and ambassador of the Vatican. Morton’s Beverly Hills attracts quiet an eclectic crowd. 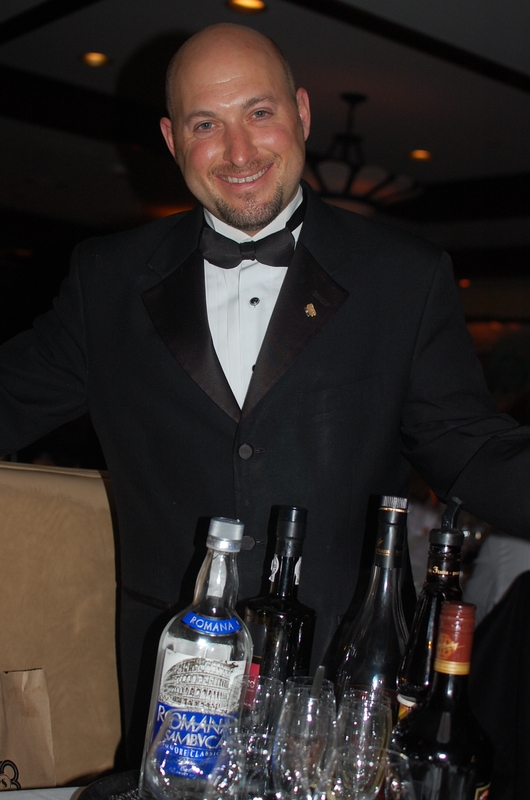 Dressed in tuxedos and formal attire, the servers appear to be attending a black tie affair, while most of the guests are adorned in apparel that is more casual. Looking at the extensive wine list, or should I say book, we admired the subtle richness of the décor in the main dining room. LeRoy Neiman prints hang on the walls next to a VIP photo collage of Christopher Garrison, the General Manager, with Dustin Hoffman, Jim Carrey and various other celebrities. Garrison has been running the restaurant smoothly for the past six years. Customer loyalty is his number one goal and we noticed many regulars shake his hand and feel right at home. A menu is not presented when seated, instead a cart is rolled over to the table with three different platters of food. One is the beef platter with various cuts of prime top quality steaks. Next to it is a platter with a Maine lobster weighing almost four pounds. The third platter held an extra large baked potato and various vegetables. Our server, Richard, enthusiastically recited the menu and highlighted the signature and favorite dishes. Afterwards, he handed us our menu and traipsed off to the bar to get us a glass of Krug Chardonnay and Coppola Pinot Noir. 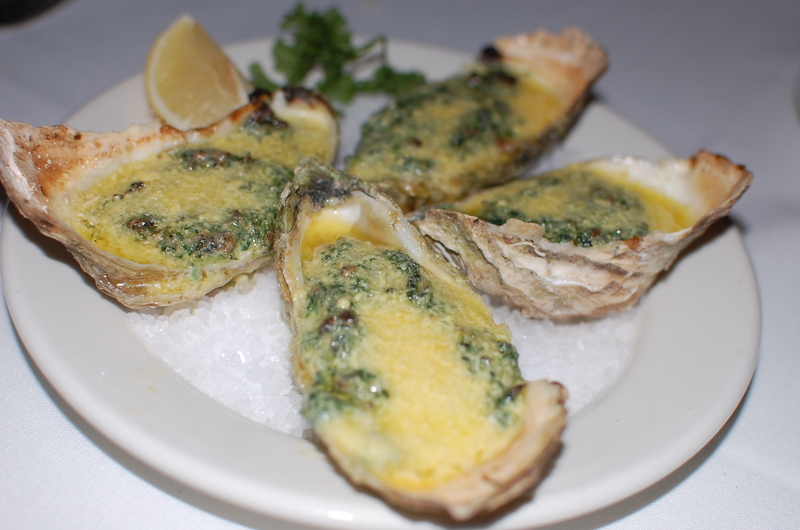 Oysters Rockefeller arrived with spinach, Parmesan cheese and a touch of hollandaise sauce. It’s placed under a broiler to caramelize and served warm. Next, we split the Morton’s salad with half romaine and iceberg lettuce, chopped egg, housemade blue cheese dressing and anchovies. We asked for the salty anchovies on the side. The salads were presented on chilled plates and the dressing did not overpower or weigh down the crisp lettuce. It was light and flavorful. Since many of the warm desserts require pre-ordering, Richard suggested we order a warm dessert with the entrée instead of after our meal was finished. A glass of Malbec from Argentina accompanied the signature cut New York strip steak. The full flavored steak was cooked perfectly. All their meat is “prime,” a designation that less than two percent of the United States beef supply earns. For lighter fare, I ordered the Chilean sea bass with a flavorful pineapple and red pepper salsa. Jazz music played in the background as we enjoyed our entrees with sides of steamed jumbo asparagus with Hollandaise sauce and lyonnaise potatoes with grilled onions. The sauce on the potatoes and onions is very addictive. For birthdays and anniversaries, Morton’s takes a photo of the guests at the table and delivers it in a commemorative Morton’s frame as a keepsake of the evening. After a meal, servers deliver a tray to their VIP and repeat guests with complimentary after dinner drinks. 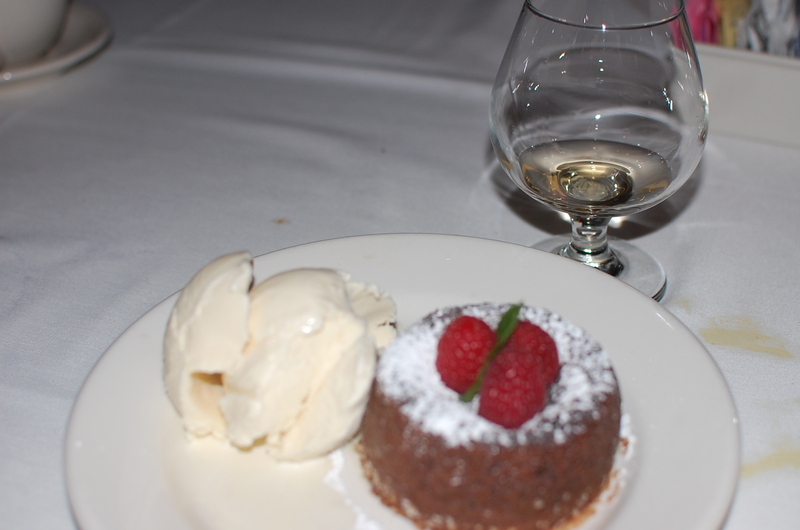 My Bailey’s Irish Cream went nicely with a plate of warm chocolate cake with raspberries and a generous scoop of vanilla Haagen Dazs ice cream. Even though the restaurant is a chain, Morton’s Beverly Hills serves high quality food by servers who go out of their way to make sure each guest is happy.